I chopped up red cabbage, one beetroot, one carrot, half an onion, added some dill and peppercorn and fennel seeds and it was all looking so beautiful and tasted terrific. But it’s slimy, I can’t eat it. What can I do to get rid of that texture? How long did you ferment for? Ideal minimum is 2-3 weeks, but you need to keep it around 18-22 degrees C. You also need to keep a ratio of 25-35% other vegs vs cabbage (less fermenting time if including extra vegs). As it was substantially hotter than this recently that may be the reason your ferment has gone slimy! To keep it cooler during hot conditions in the future you can put in a coolbox (lid off) with one or two freezer blocks not touching the jar, but on the inside of the coolbox. Thanks for that. I also read somewhere that using carrot can create that slimy texture if not inoculated – whatever that means. I am very new to this. I ended up putting the last lot in the compost and have started again with something very simple, just cabbage and will gradually work my way up. Great tip about the cool box (esky here): it has been warmer than it should be at this time of year. Hi Rubenesque 🙂 I’m not sure what they meant about inoculated! Carrots are absolutely fine, but, as with the cabbage I use only organic as keeping chemical residues as low as possible is advisable to create the best bacteria friendly environment. I usually use about three carrots, peeled, per cabbage, and three garlic cloves, and couple of inches knob of ginger if you like that. I would always use garlic and/or ginger with the cabbage as these are the main starter culture for the probiotics within the sauerkraut. 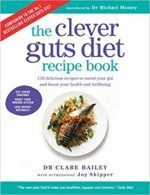 Hi badfoodrising, I didn’t know about the garlic being the starter culture, I don’t think its included in the purple sauerkraut recipe in the clever guts book. I’ll try it in my next batch. So you use carrots all the time and don’t get the slimy texture? I only recently read about the garlic and ginger being detected as the main source of probiotic lactobacillus bacteria, rather than the cabbage, it was from a 2015 Korean study into Kimchi. LAB was found in 5/5 garlic samples, 3/5 ginger samples, 2/5 leek samples and only 1/5 cabbage samples, of which it was weak. So ability to act as a starter culture for LAB seems to correlate with the strength of the prebiotic, so I imagine other strong prebiotics like chicory root and Jerusalem artichoke might also work. I haven’t had an issue with slimyness with carrots, but I did have an issue with a beetroot sauerkraut I made in June-July, I think it was simply too hot, and I hadn’t used the coolbox method. How much salt are you using? Are you thoroughly squishing it all up and covering with a cabbage leaf and weight so the brine covers the whole mixture? I do squash it until it is covered in its own brine – if I use 500g of cabbage I use 5g of salt – would that be right? I haven’t covered it with a cabbage leaf but I used the cabbage stalk to keep it down. Might not have been enough. Anyway, I have since bought some ceramic weights and hope that works. there’s a lot in this, isn’t there?